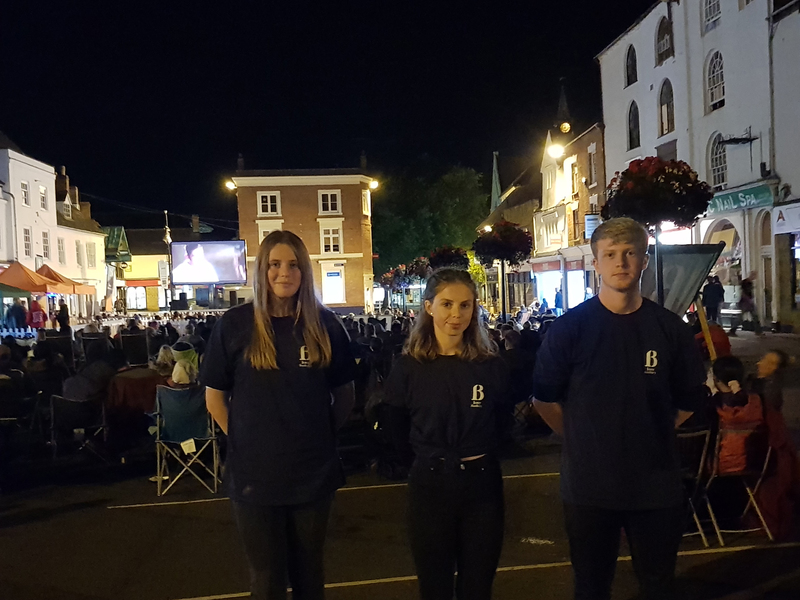 This event was organised by Banbury BID a free outdoor cinema experience in the market place. The 2 movies showed were "Sing!" and "The Greatest Showman" later in the evening for older viewers. Our task was to blow up balloons with helium and to tie them to the little market stalls to really try to advertise the event before the movies started. We also brought chairs in from the back of one of the shops within Castle Quay and had to retrieve other items such as small helium tanks, cable ties and more balloons. It was exciting for everyone to experience a new lovely atmosphere where families came together for the special event. Other tasks included taking pictures and ensuring people's queries were answered. The team worked exceptionally well and everyone's qualities were utilised throughout the daytime and evening.